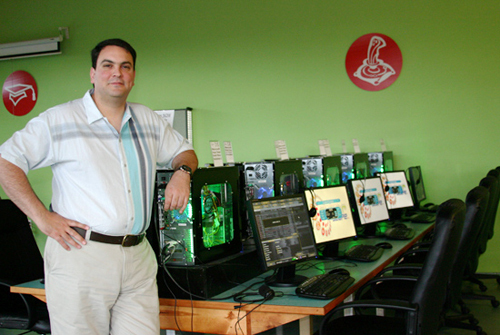 Recognizing the social aspects of Internet and computer gaming culture, founders Alex Monroy (pictured below) and Roger Rivero opened Beaverton's newest Internet café, Cyberscape. Featuring super-fast machines with speedy broadband connections and all the latest PC games, the new venue attracts many Latino youths who are eager to showcase their gaming skills, log the top scores, and enjoy good, clean fun with their friends. “It's a safe and fun place to hang out. Our goal is to offer a very relaxed atmosphere where people can just enjoy themselves,” said Alex. Cyberscape is not your standard coffeeshop Internet café. The founders worked on building the interior of the facility, including the gaming stations. “It took a lot of trips to Home Depot, but it was a lot of fun,” said Alex. What they created was a no-frills, post-industrial interior with large windows, Cyberscape offering a comfortable environment for gamers of all ages to come together. “There’s a common misconception that people who play computer games are geeks or nerds. But the reality is that most gamers are very social as well. So, we worked hard to build a space that expresses our vision of providing a unique and relaxing atmosphere for our clients,” Alex said. 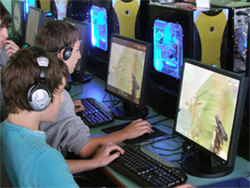 In addition to computer gaming services, Cyberscape also provides a friendly and knowledgeable staff who are willing to provide answers to almost any technical question. Popular software programs are available: MS Word, Excel, Powerpoint, among others. “You can burn CD’s, or use the web camera to turn on web conferencing. We also help people set up e-mail accounts,” said Alex. Word-of-mouth marketing has worked out really well for the Cyberscape, said Alex. It also helps that the facility is right in the middle of commercial activities in the Beaverton area. 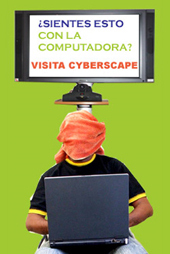 Click for the Cyberscape website.